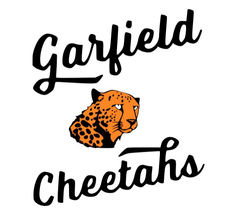 Welcome to Garfield Fifth Grade! Be Responsible by turning in our homework on every day and on time, by following classroom and school rules and by allowing others to learn. Be Respectful by choosing kind words for our classmates, responding appropriately to adults, and by allowing others to learn. Be Ready by being at school every day and on time, having the materials needed, and by working with schoolmates to problem solve. Our PTA does great things for our school community. They help teachers purchase special items, they put on a Movie Night every few months with freshly popped popcorn, they bring entertainers from around the world to our school for assemblies, and they help keep us healthy by golfing at first recess. Please check out their website at www.olygarfieldpta.com! They are always looking for more volunteers and help on projects.